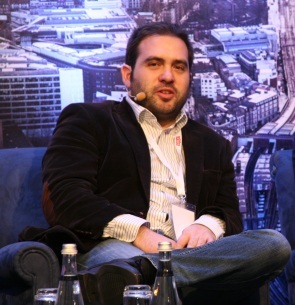 Firat Isbecer is a Turkish entrepreneur and an angel investor. Isbecer co-founded Pozitron, a pioneering mobile banking, commerce & payments company that was acquired by the UK-based Monitise plc in 2014. Isbecer currently serves as Managing Director of Monitise MEA overseeing the company’s Eastern Europe, Middle East, Central Asia and Africa operations. He is also a member of Galata Business Angels, Turkey’s first angel investment network. Firat received his Bachelor’s Degree in Communications and Internet Broadcasting from Galatasaray University, and his Master’s Degree in Geopolitical Studies from a joint programme by the Université Paris 1 Panthéon-Sorbonne and the École Normale Supérieure. In 2016 he was named in Fortune Turkey’s “40 Under 40” list of the most influential young professionals in business.